I have two more Lawn Fawn cards to share today. 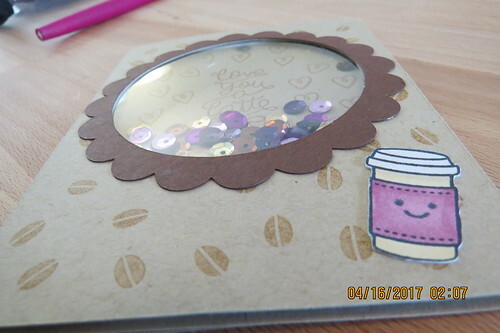 I made two shaker cards using the Love You a Latte set. I was obsessed with collecting sequins and beads for shakers for a while. 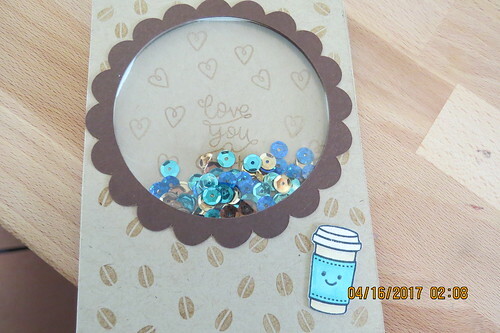 Now I try to make shaker cards as often as I can. 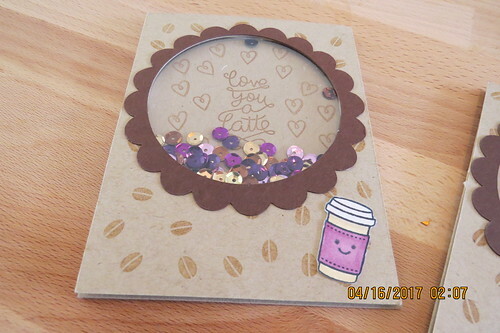 The first card is with purple accents. For the second card I used a blue. I love how it contrasts with the browns. 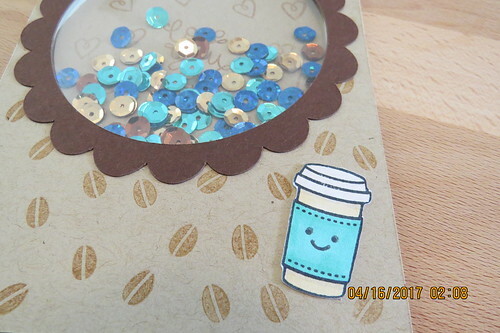 The card front is made with the coffee bean stamp.